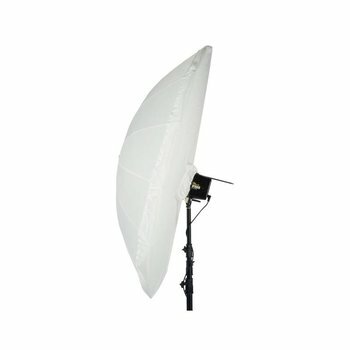 Der Durchlichtschirm gibt Ihrem Motiv eine gleichmäßige und weiche Ausleuchtung. 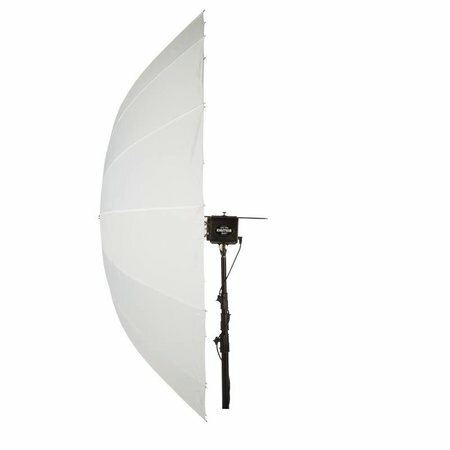 Aufgrund der Größe eignet er sich besonders zur Ausleuchtung größerer Objekte, kleiner Gruppen oder für Ganzkörperaufnahmen. Lieferzeit: See our Paul C. Buff site flitsenflash.com for the right stock. 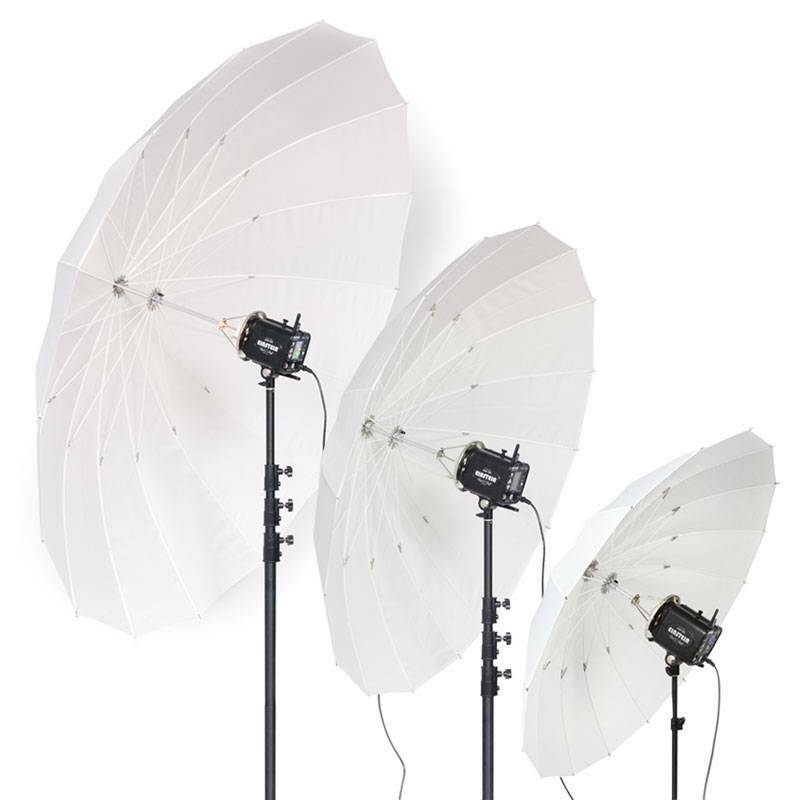 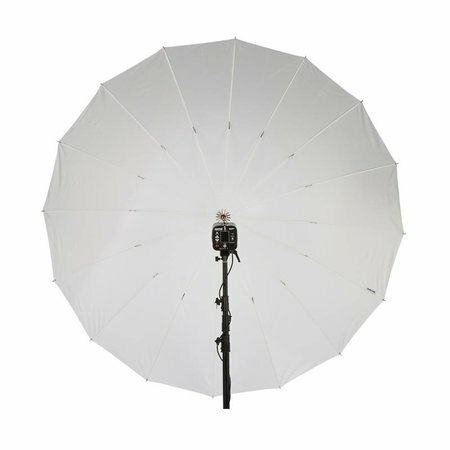 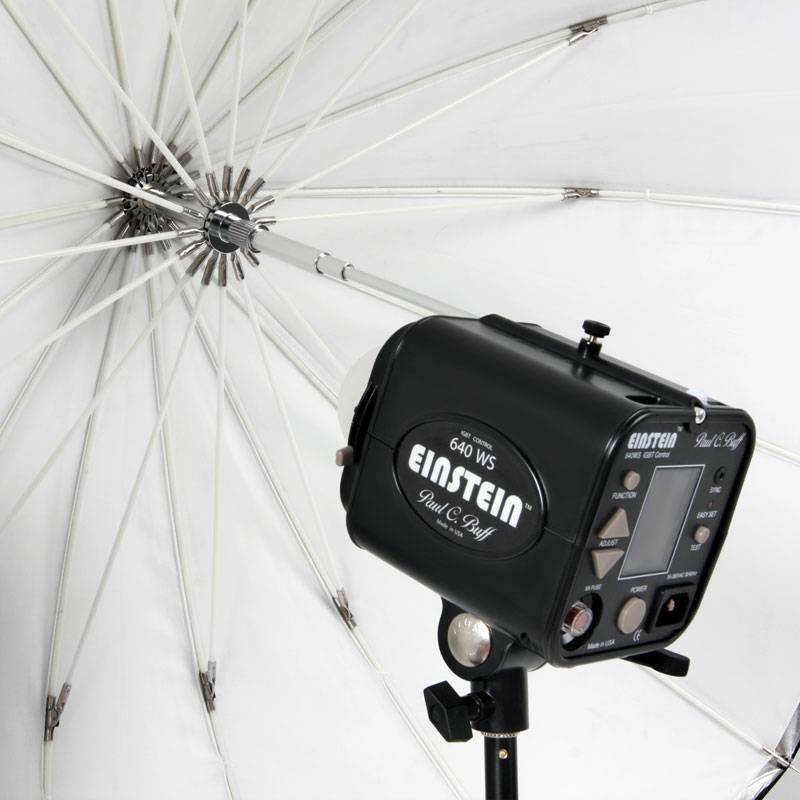 The White PLM™ umbrella can be used as a shoot-through, diffused light source or a soft, bounced light source. 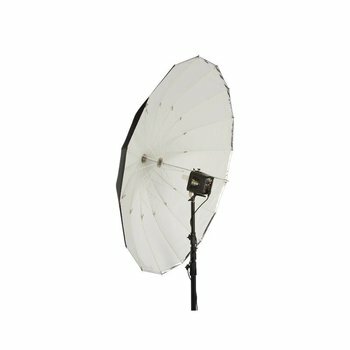 It provides a wide, unfocused spread of light covering a 150° area for close, low specularity lighting with large round catchlights and very soft shadows. * Please note that the warranty only covers normal wear and tear or manufacturer defects. 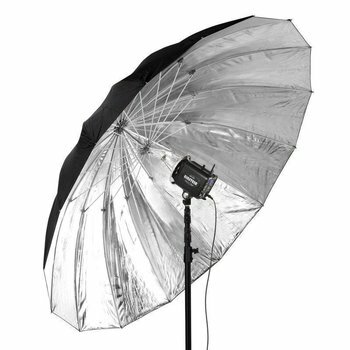 It is very important to remember when using ANY umbrella outside (especially larger ones) to use heavy duty stands with a sandbag. 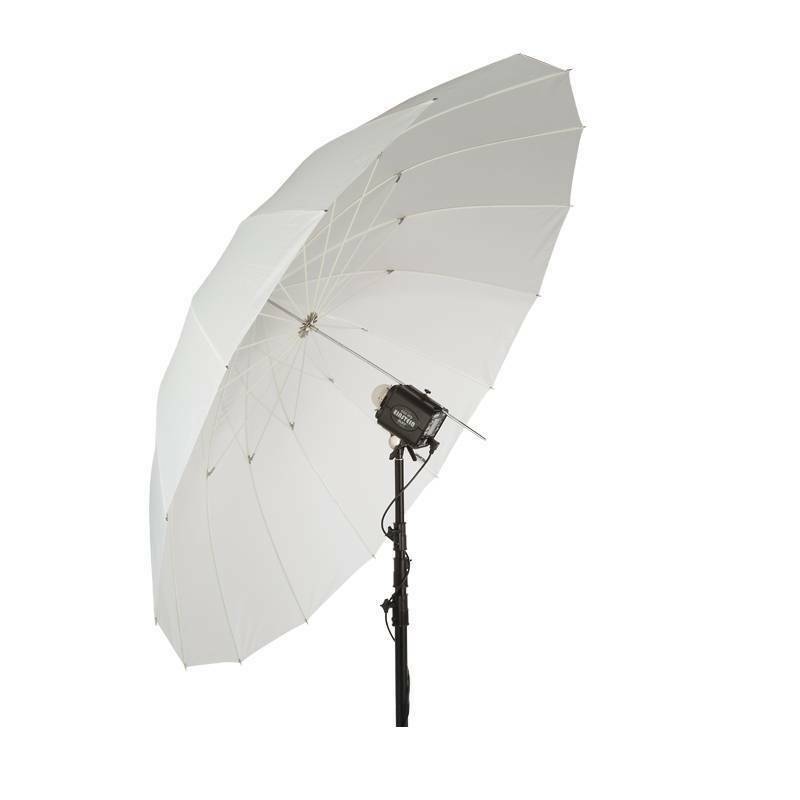 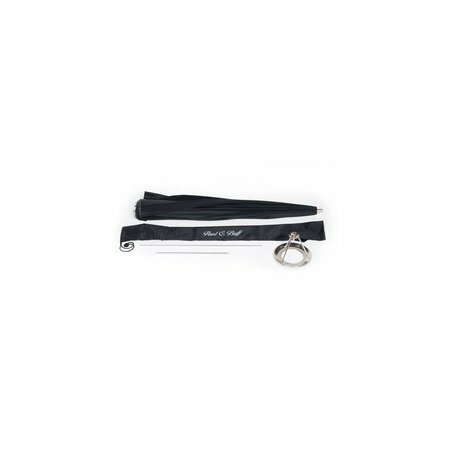 Umbrellas can catch wind easily which can cause your setup to be knocked over resulting in breaking the umbrella shaft that is not covered under warranty. 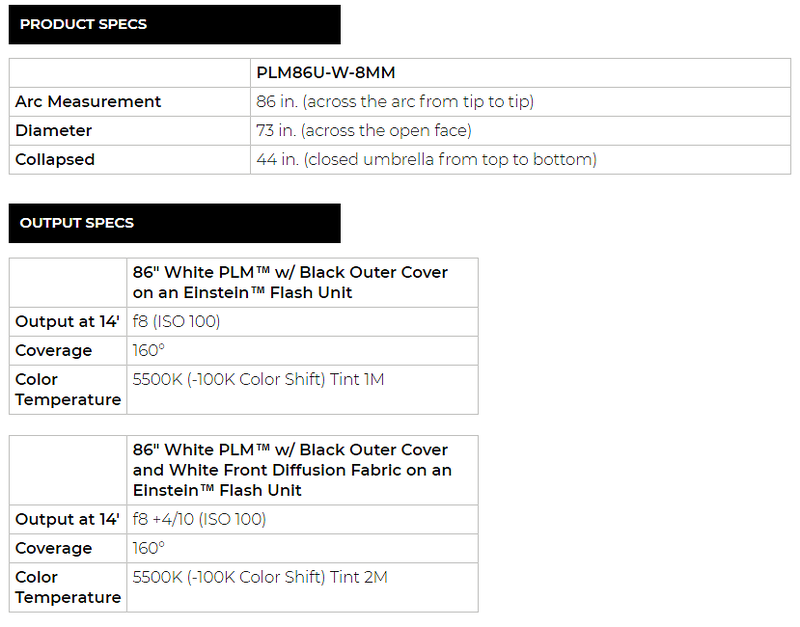 Replacement shafts are NOT available for purchase.